This fun light piece is a great technical showpiece for the cornet. 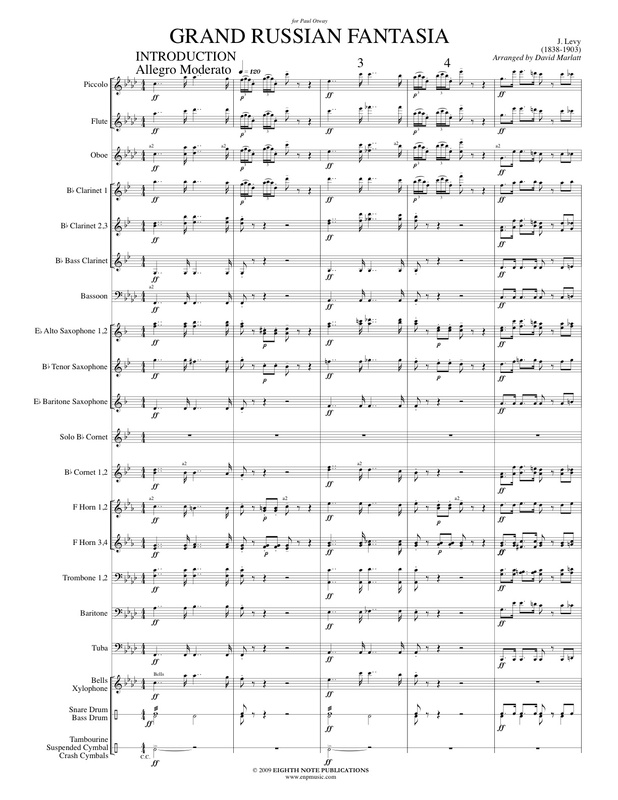 This arrangement has new break strains which have been composed (incorporating some of the original material) and using a famous Russian folk song Kalinka. These new band parts have breathed new life into this terrific cornet showpiece giving the band more exciting parts and filling out the sound under the soloist.